William James Delaney was born on July 4, 1891 in Brooklyn. His father, James Henry Delaney, was born in 1864 in NYC of Irish ancestry. His mother, Annie M. Corrigan, was born in 1867 in Scotland, and came to America in 1882 and settled in NYC. They married in 1890 and had six children, William (b.1891), Joseph (b.1895), John (b.1895), Edward (b.1898), Elizabeth (b.1905), and Marie (b.1908). The family lived at 47 Powers Street in Brooklyn. The father was a fabric and leather cutter at a men's clothing factory. The children attended Catholic schools in Brooklyn. In 1908 the Delaney family moved to 263-A Bainbridge Street in Brooklyn. In June of 1909 William J. Delaney graduated from high school, after which he entered the work force as clerk at a law office. In 1913, at the age of twenty-two, he began to work as an advertising solicitor at Cone, Lorenzen & Woodman Agency at 225 Fifth Avenue in Manhattan. 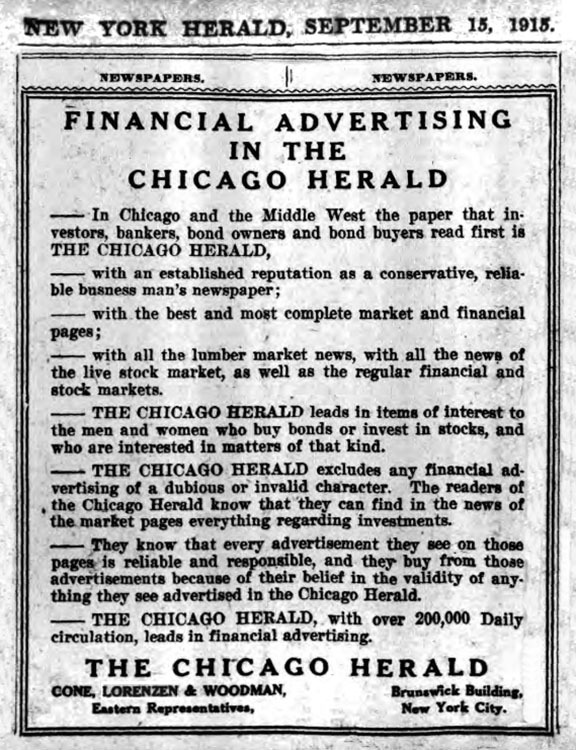 They were the Eastern representatives of The Chicago Herald, which was owned by William Randolph Hearst (1863-1951). The distribution of Hearst newspapers was handled by Moe L. Annenberg, a member of the Hearst Executive Council. By 1915 the Publishers Association that owned and operated the American News Company (ANC) was dominated Hearst, who favored neutrality with Germany, a stance that became increasingly unpopular after Germany's murderous siege of Antwerp, Belgium. In 1916 Hearst used ANC to promote his own interests above those of other newspaper publishers, such as Ralph Pulitzer (1879-1939) of The New York World and Ogden Reid (1882-1947) of The New York Tribune, who were reduced to pleading their case with their readers, in an editorial campaign that attacked Hearst as "Un-American." This public feud underscored the extent to which ANC was dominated by Hearst. On June 5, 1917, during the Great War, William J. Delaney reported for draft registration. He was recorded at the time to have been twenty-five, medium height, medium build, with blue eyes and light hair. On July 27, 1918 he enlisted in the U.S. Marine Corps. On December 16, 1918 The Brooklyn Eagle reported "W. J. Delaney Joins U.S. Marine Corps - William J. Delaney of 263-A Bainbridge Street, who has recently entered the U.S. Marine Corps at Paris Island, S.C., has been connected with the advertising business for a number of years." His brother Joseph served overseas with the Army, and the youngest brother, Edward, joined the Navy. Private First Class William J. Delaney served in Company G of the 11th Regiment in France, and was honorably discharged on August 11, 1919. After the war he returned to NYC and resumed his career in advertising the interests of Hearst publications. In 1921 William J. Delaney married Margaret Mary Flynn. She was born in 1892 in NYC of Irish ancestry. They had four children, Eileen and Marjorie, twins, (b.1924), Joan (b.1925), and William (b.1926). The family lived at 8931 Colton Avenue in Queens, NY. In 1922 William J. Delaney began to work as a circulation manager for the Newsstand Group, an advertising agency with offices above Grand Central Terminal, and a street entrance at 25 Vanderbilt Avenue. 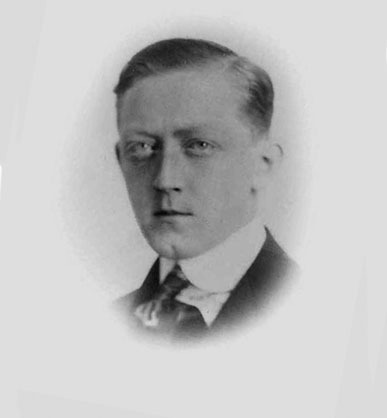 The company was formed that same year by another member of the Hearst Executive Council, Earle Rosman Crowe (1881-1947). He was born September 19, 1881 in Chicago, and had graduated from Yale in 1903, after which he became business manager of the Arch Wilkinson Shaw publishing Company of Chicago, which produced System Business Magazine. In 1917 he joined Hearst Publications as business manager of The New York American, Hearst's Magazine, and Hearst's International Magazine Company at 119 West 40th Street in NYC. By 1920 he was the circulation manager of all Hearst magazines, while Moe L. Annenberg was the circulation manager of all Hearst newspapers. 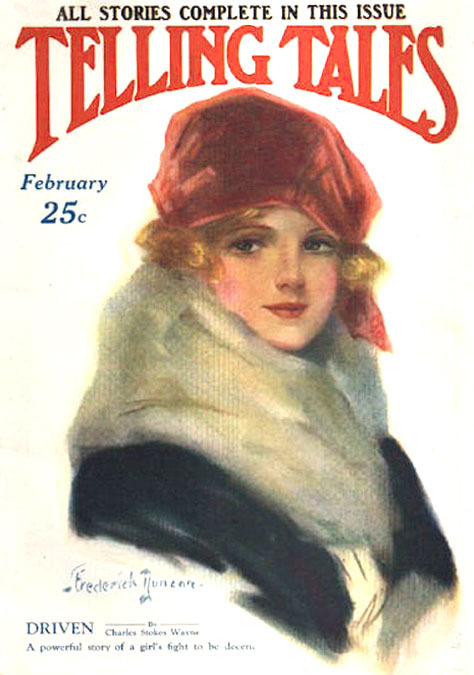 In 1922 Crowe founded the E. R. Crowe & Company, which handled the advertising for all Hearst magazines, as well as for twelve other national magazines. 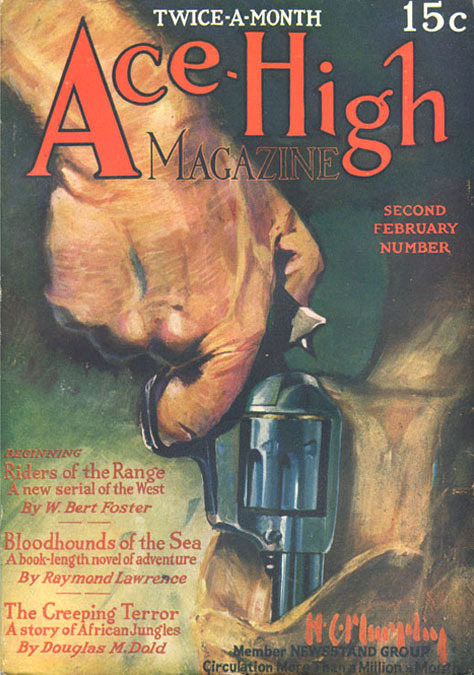 In addition to handling the advertising for these top magazines, which were all rated with over one million monthly sales, Crowe also formed the Newsstand Group, which was designed to handle affordable bulk-rate advertising for less-circulated pulp magazines, who were brought together as members of the Newsstand Group, with a combined total circulation of a million monthly sales. 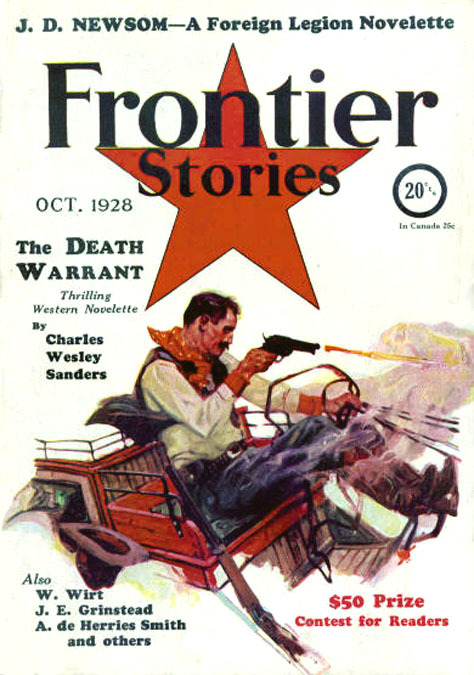 Although pulp magazines did not depend on advertising income, this new system did earn a few thousand dollars every month for each member. 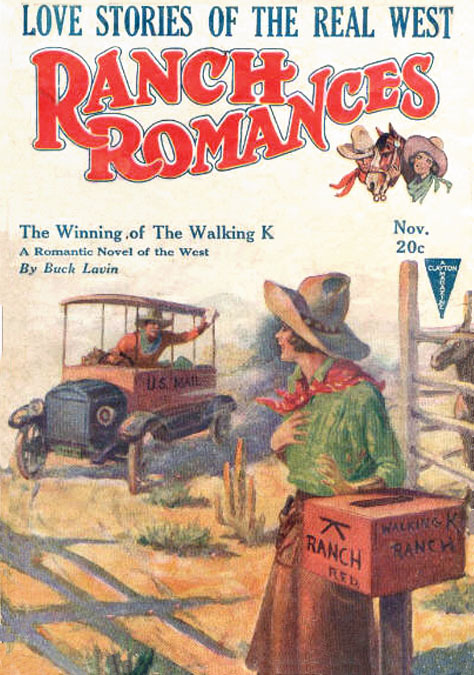 During the 1920s the Newsstand Group handled the combined advertising for Ranch Romances, Astounding Stories, Short Stories, Black Mask, Ace-High, Clues, Cowboy Stories, Complete Mystery Novelettes, Mystery Novels Magazine, Danger Trail, and Five Novels Monthly. In the 1925 New York State Census William J. Delaney listed his occupation as "Advertising Manager." 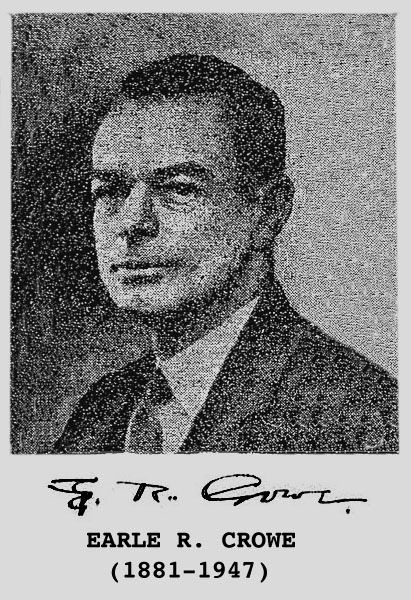 In 1932 Earle D. Crowe, at the age of fifty, suddenly retired from the publishing industry, because of a heart condition. The Newsstand Group at 25 Vanderbilt Avenue was reorganized as Newsstand Fiction Unit, with William J. Delaney as president, at 155 East 44th Street. One year later, in 1933 the Newsstand Fiction Unit left their 44th Street offices and moved to the Graybar Building at 420 Lexington Avenue, which is beside Grand Central Terminal at 42nd Street. In 1936, according to pulp author and editor, Frank Gruber, "While newsstand sales were the lifeblood of pulp publishing, advertising could be a shot in the arm. The publisher depended on ads for his inside front, inside and outside back covers, as well as on other pages. These represented additional welcome revenue, certainly. They sold for groups of publications. That is, the same ad would appear in all the pulps in a group the same month. Thus, while one pulp might only have a circulation of something like fifty thousand (hardly an impressive figure for the advertiser's purposes), the total circulation for the group of magazines might be a million or more. Circulation strength, of course, determined the price the publisher could get for an ad page. 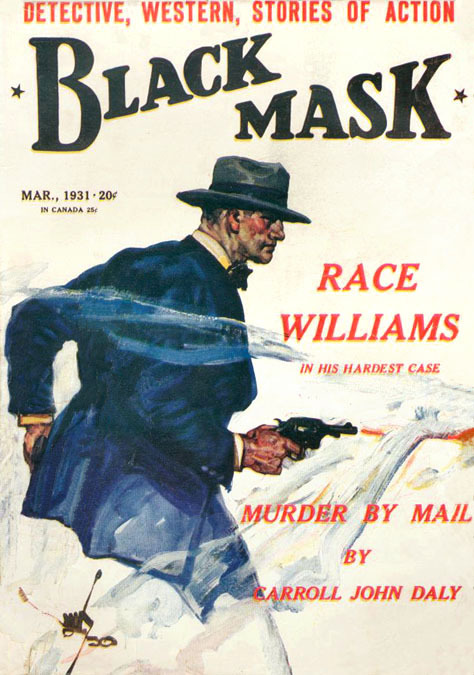 The Newsstand Fiction Group had nine titles, including Mystery Adventures and Black Mask." In 1936 the Newsstand Fiction Unit began to represent advertising space in comic books, a brand new publishing format, which sold phenomenally well. 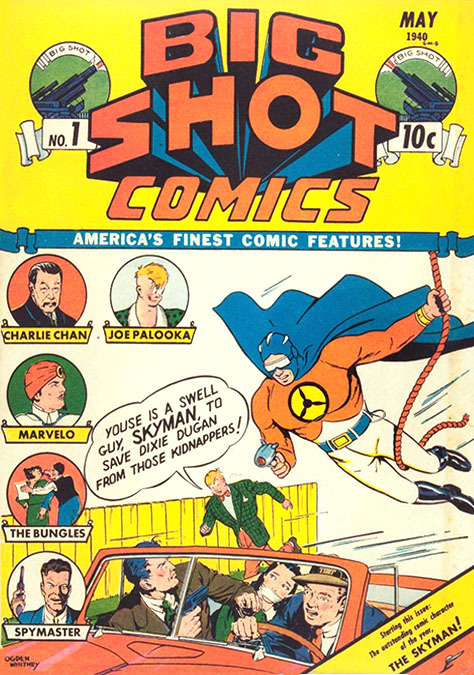 The first American comic book of original contents was Malcolm Wheeler-Nicholson's New Fun of 1935. The first editor was Lloyd Jacquet and the first advertising representative was H. D. Cushing. After that first year the title was changed to More Fun, and the February 1936 issue listed the new ad rep as William J. Delaney. This innovative publishing company was taken over by Harry Donenfeld and reorganized as DC Comics. The December 1936 issue of Funny Picture Stories, produced by Comics Magazine Company at 11 West 42nd Street, listed their advertising representative as William J. Delaney. 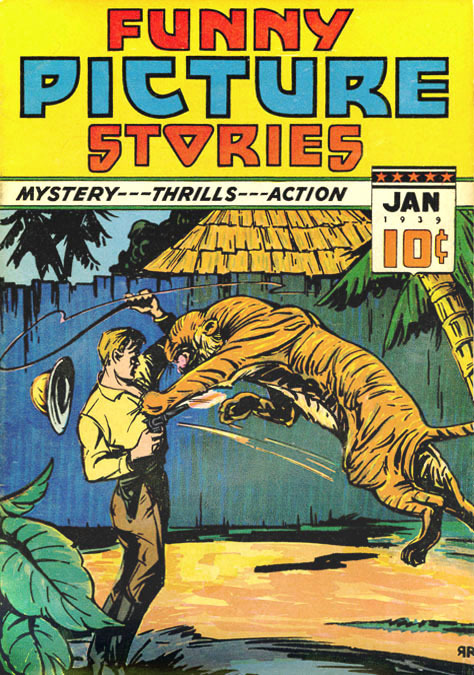 Artists who drew for this comic included William M. Allison, Arthur Pinajian, and Claire S. Moe. The October 1937 issue of Feature Funniesfrom Comic Features Company at 369 Lexington Avenue, listed their advertising representative as William J. Delaney. He also represented all of the Fiction House comics, Jumbo, Planet, Jungle, Fight, and Wings, as well as Big Shot Comics from Columbia Comics Corporation. 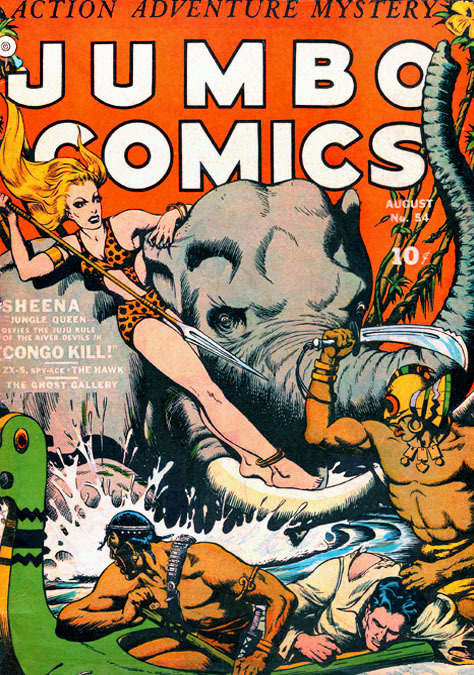 Artists who drew for these companies included Rafael Astarita, Fred Guardineer, Will Eisner, S. M. Iger, Jack Kirby, Lou Fine, Joseph Doolin, and Ogden Whitney. On March 4, 1937 The New York Times reported that Bruns Publications had leased office space in 480 Lexington Avenue. That company had produced World Astrology Magazine in Chicago, but it was reorganized with Victor S. Fox as the new president. The June 1937 NYC business directory listed Bruns Publications and Fox Publications at the same address with the same telephone number. World Astrology Magazine was distributed by Independent Newsstand Distributing (IND), which was owned by Paul Sampliner and Harry Donenfeld. Their offices were also in the same building. These distributors had extended operating credit to Victor S. Fox, so they were actually co-owners of World Astrology Magazine. 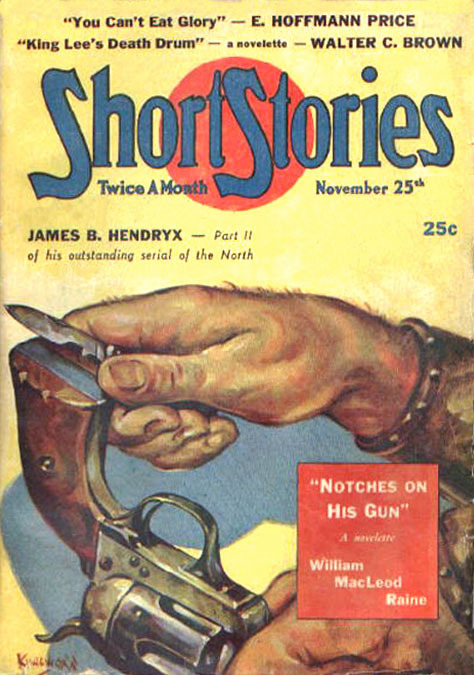 In 1937 William J. Delaney suddenly became a magazine publisher as well as the president of Newsstand Fiction Unit.In September of 1937 Short Stories Magazine, which was owned by Doubleday and printed by the Hall Printing Company of Chicago, was re-organized with William J. Delaney as president of "Short Stories Incorporated." On October 14, 1937 The New York Times reported this new company had leased office space at 9 Rockefeller Plaza in the Rockefeller Center Complex. 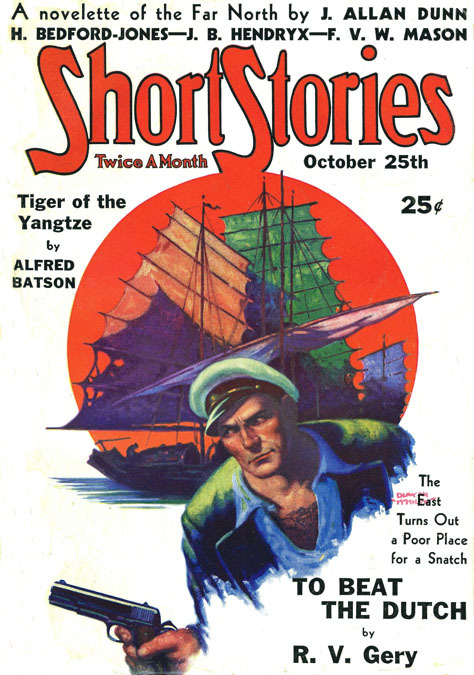 It took about three months to produce, print, and distribute a pulp magzine, so the first issue of Delaney's Short Stories was dated January 1938. At that same time Delaney also became the publisher of Weird Tales, which was printed and partly owned by the Hall Printing Company of Chicago. 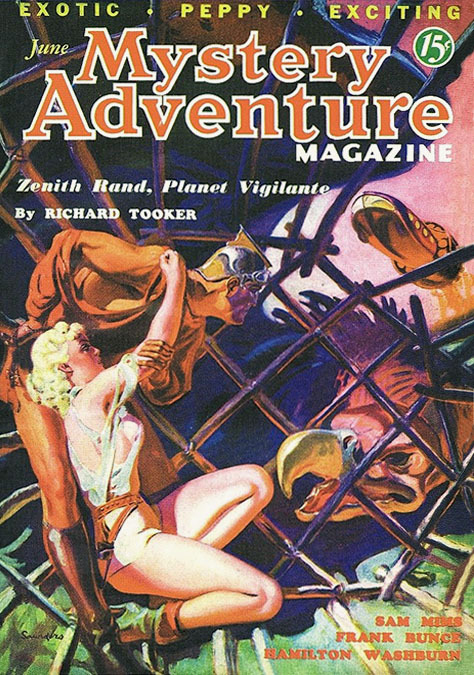 Artists who painted covers for these two magazines included Pete Kuhlhoff, A. R. Tilburne, Oren Waggener, Ray Quigley, Virgil Finlay, Hannes Bok, Edgar F. Wittmack, and Clem Gretter. On December 30, 1937, The New York Times reported that World Astrology Magazine had purchased Rose Dawn's Modern Astrology Magazine, with the plan to merge the two publications. 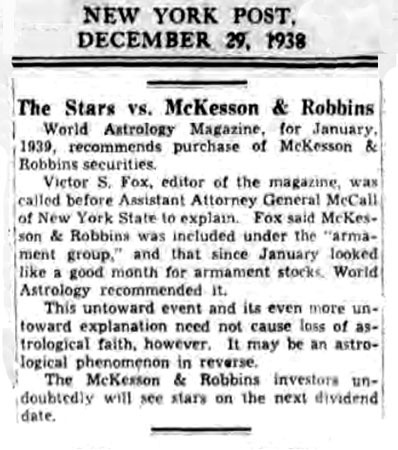 In 1938 Victor S. Fox was subpoenaed to testify before a NY State District Attorney in connection with unusual predictions in World Astrology Magazine that stocks values would rise for a particular company that also happened to be under investigation for swindling and blackmail. 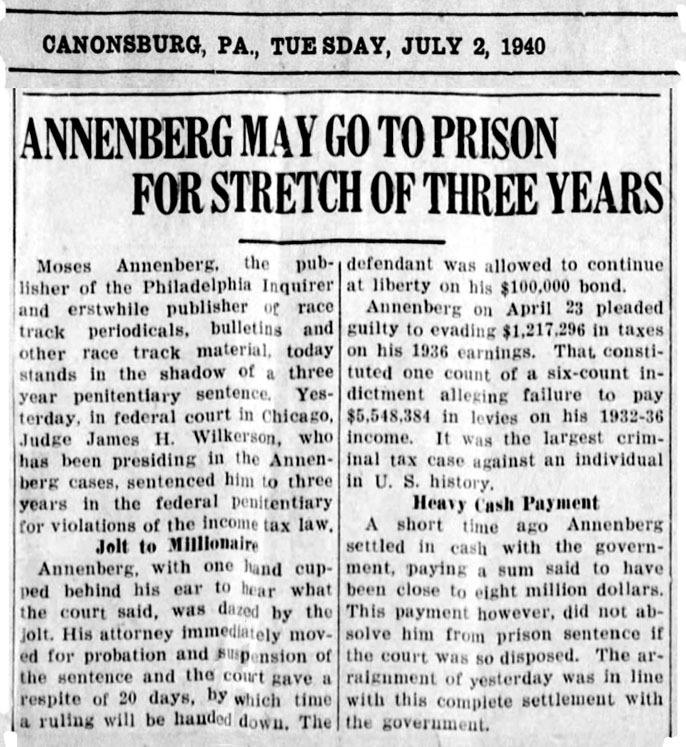 On August 11, 1939 the same District Attorney and Federal Judge who had historically convicted Al Capone of tax evasion, also brought tax evasion charges against Moe L. Annenberg. On April 20, 1940 he was convicted to serve three years in Federal prison and to pay a fine of $8,000,000, which was the largest such penalty in U.S. history. 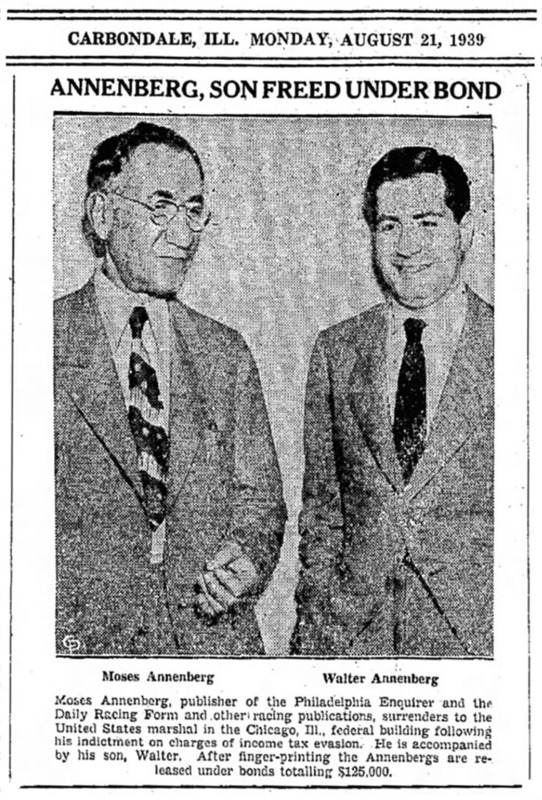 Before incarceration he installed his son Walter Annenberg (1908-2002) as business successor to assure smooth continuity to the operation of his vast empire. On April 27, 1942, during WWII, William J. Delaney reported for draft registration. He was recorded at that time to have been fifty, five-eleven, 175 pounds, with blue eyes, blonde hair, and a ruddy complexion. He listed his employer as "Wm. J. Delaney Inc. - 9 Rockefeller Plaza NYC." In 1942, after serving two of his three-year sentence in Lewisburg Pennsylvania State Prison, Moe L. Annenberg's health declined to such a critical extent that doctors urged his early release for medical treatment. On June 3 he traveled to the Mayo Clinic in Minneapolis for an emergency brain operation. While recuperating from surgery, he died at the age of sixty-five on July 20, 1942. In 1942 Victor S. Fox at 480 Lexington Avenue was replaced by William J. Delaney at 9 Rockefeller Plaza as the publisher of World Astrology Magazine. 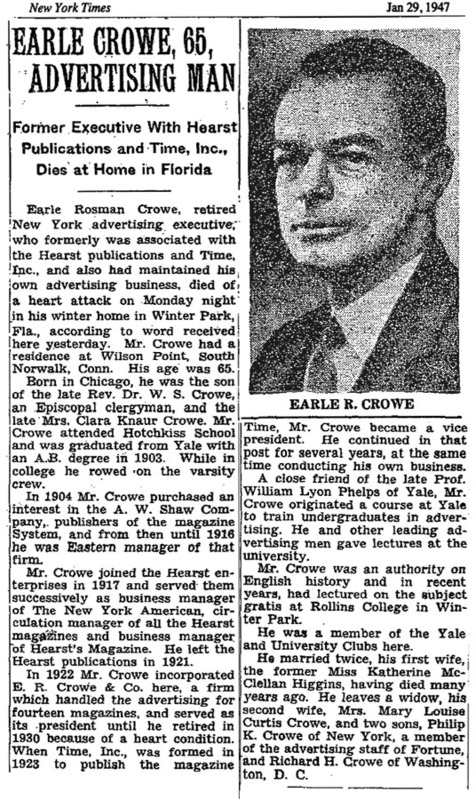 On January 29, 1947 Earle R. Crowe died at the age of sixty-five. The final listing in the NYC telephone directory for William J. Delaney at 9 Rockefeller Plaza appeared in 1949, although he was still listed as the publisher of Weird Tales, Short Stories, and World Astrology Magazine, all of which listed their advertising representative as the Newsstand Fiction Unit. According to William J. Delaney, William Randolph Hearst once told him, "We are pleased and proud to have a man of such high caliber and integrity in the publishing field." By 1949 the Newsstand Fiction Unit was no longer handling group advertising for comic books from Fiction House or the Columbia Comic Corporation. In 1950 Mr. & Mrs. William J. Delaney lived in NYC at 1111 Park Avenue at 90th Street. They also had a country estate, "Seawood," in Spring Lake, New Jersey, where the family attended St. Catherine's Roman Catholic Church. 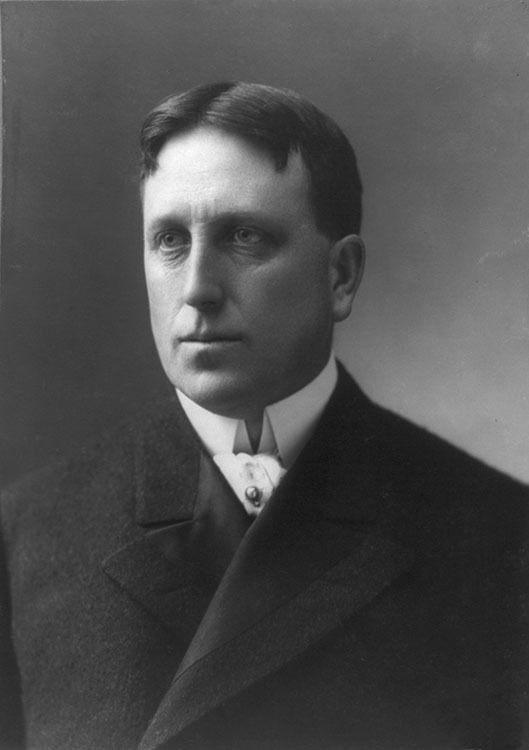 In 1951 William Randolph Hearst died at the age of eighty-eight. On December 3, 1952 William J. Delaney's wife, Margaret Mary (Flynn) Delaney, died at the age of sixty-one. 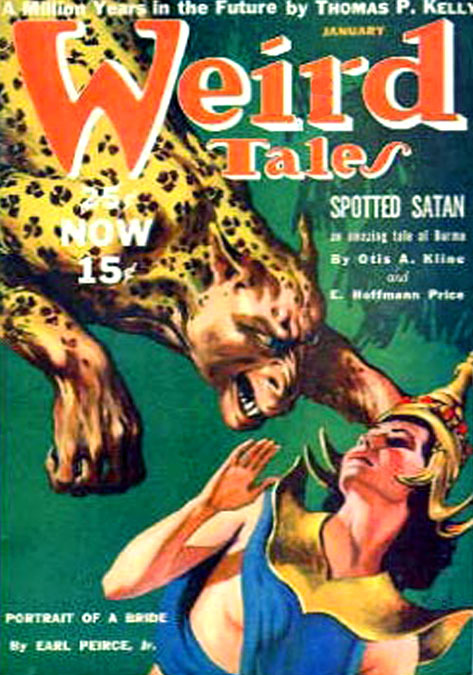 The last issues of Weird Tales and Short Stories published by William J. Delaney at 9 Rockefeller Plaza were both dated September 1954. In 1956 William J. Delaney, age sixty-five, married a second wife, Regina Cogan, age thirty-nine, a secretary at a Manhattan brokerage firm. She was born in 1917 in NYC. 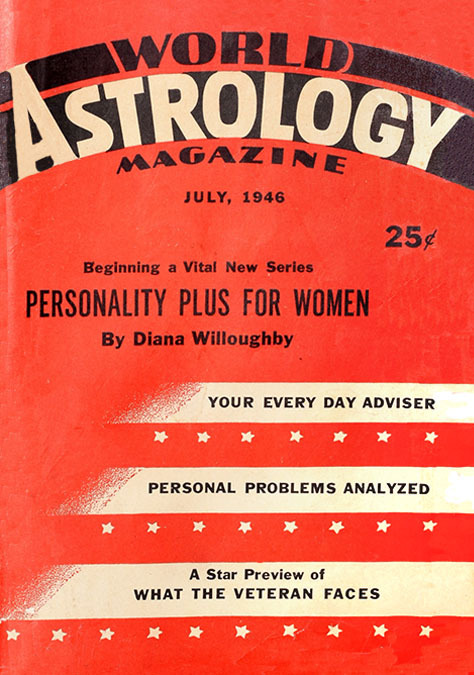 World Astrology Magazine continued to be published at 9 Rockefeller Plaza until 1958. In 1959 William J. Delaney retired from the publishing industry. On March 17, 1969 The New York Times reported William J. Delaney, Jr., the son of William J. Delaney, had been appointed Public Relations Manager for Parade Magazine, which was produced by The New York Herald Tribune. On March 4, 1971 William J. Delaney's second wife, Regina (Cogan) Delaney, died at the age of fifty-four. William J. Delaney died at the age of ninety-four in a nursing home for Veterans of Foreign Wars in Chestnut Hill, Massachusetts, on March 15, 1986.